FALLS CHURCH, Va. – Jan. 26, 2015 – The Northrop Grumman Foundation, presenting sponsor for CyberPatriot VII, is proud to congratulate the top 25 high school and three middle school teams advancing to the national finals competition on March 13 in Washington, D.C.
CyberPatriot, established by the Air Force Association, is the National Youth Cyber Education Program that's inspiring students toward careers in cybersecurity and other science, technology, engineering, and mathematics (STEM) disciplines critical to our nation's future. The program features the National Youth Cyber Defense Competition, cyber camps, and an elementary school education program. This year's finalists represent schools and other organizations from Alabama, California, Colorado, Florida, Iowa, Louisiana, Massachusetts, Michigan, Missouri, New Jersey, New Mexico, Oklahoma, South Dakota, Texas, Virginia, and Manitoba, Canada. Click here for a complete listing of finalists. "We are so proud of all the students who participated this year and we wish the top 28 finalists all the best as they prepare for the big showdown," said Sandra Evers-Manly, president of the Northrop Grumman Foundation and vice president of Northrop Grumman Global Corporate Responsibility. "CyberPatriot has proven to be an innovative way to inspire young people to pursue a career in cybersecurity. It is filling the much-needed pipeline of qualified cyber talent and we couldn't be more pleased with its success. CyberPatriot is a true example of how a hands-on, STEM initiative can make an impact by addressing a national imperative." A record 2,175 teams, up 40 percent from the previous year, competed this year in a series of online rounds where students were given a set of virtual images that represent operating systems and were tasked with finding vulnerabilities and hardening the system while maintaining critical services. 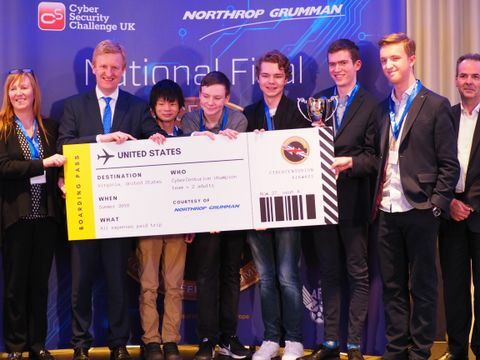 Students competed from across the U.S. and in other parts of the world to be among the top finalists that receive an all-expenses-paid trip to the CyberPatriot National Finals in Washington, D.C.
"The need for cyber defenders has never been more relevant, or urgent," said Diane Miller, director, CyberPatriot Programs, Northrop Grumman. "To address the increasingly complex threat requires diversity of education, experience, and approach to problem solving. 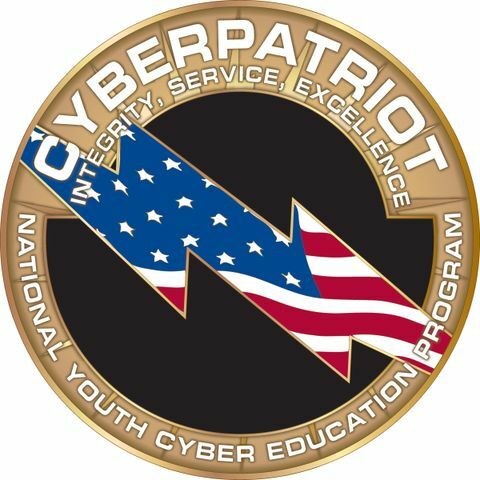 CyberPatriot is inspiring our youth at every level and from every pocket of the country to cultivate a cyber workforce with a strong ethical foundation, the requisite technical skills and life skills in communications, leadership and teamwork so important to potential employers. These students are career-ready and poised to take on this national and global challenge." 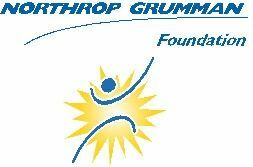 In its fifth year as presenting sponsor, the Northrop Grumman Foundation and Northrop Grumman Corporation continue to devote time, talent and resources to support CyberPatriot. In addition to the foundation's financial support, Northrop Grumman awards annual scholarship funds to the top winning teams and contributes employee volunteers and mentors. The company also provides internships to CyberPatriot competitors, as do other industry and government organizations. Northrop Grumman also partnered this year with Cyber Security Challenge UK to bring CyberPatriot to the U.K.. Known as CyberCenturion, this youth cyber defense competition will hold its finals competition on April 17 at Bletchley Park in London. The CyberPatriot VII Teams will compete face-to-face in a one-day event to defend virtual networks and mobile devices from a professional aggressor team. The National Finalists will also face-off in four additional competition components: the Digital Cyber Crime Scene Challenge from the Digital Forensic Consortium, the Cisco Networking Challenge, the Leidos Digital Forensics Challenge, and a Mobile Application Challenge hosted by AT&T. These extra challenges expose teams to new elements and skillsets of the many career opportunities available to them. As a global provider of cybersecurity solutions, Northrop Grumman is committed to grooming tomorrow's cyber workforce and is engaged in supporting numerous cybersecurity education, training and technology initiatives. For more information on Northrop Grumman in cyber, go to www.northropgrumman.com/cyber .